One of the latest exemplars of the downtown Reading renaissance opened its doors last month, offering farm-to-table dining, coffee and a new central gathering spot. Wild Sage Coffee & Kitchen is a labor of love for Jessica Weixler, who spent a year rehabbing the vacant historic building on Washington Street. “Natural light and green space were really important to me,” she recalls. “When I found the location for Wild Sage I knew it was the place. The way the sun hit the facade, the space for outdoor seating, the historic features — I fell in love with it. I made a priority of preserving and restoring what I could, like the white oak floors, the mantle, a small portion of the original brick walls. Things that I added were carefully handcrafted. The rest of the building — which houses two apartments and an office — is also back in use. According to Pamela Shupp, president of the Greater Reading Economic Partnership, Wild Sage adds to downtown’s growing food cachet. That access to amazing products and “an energy that was exciting” drew Weixler to downtown Reading as she developed her concept. 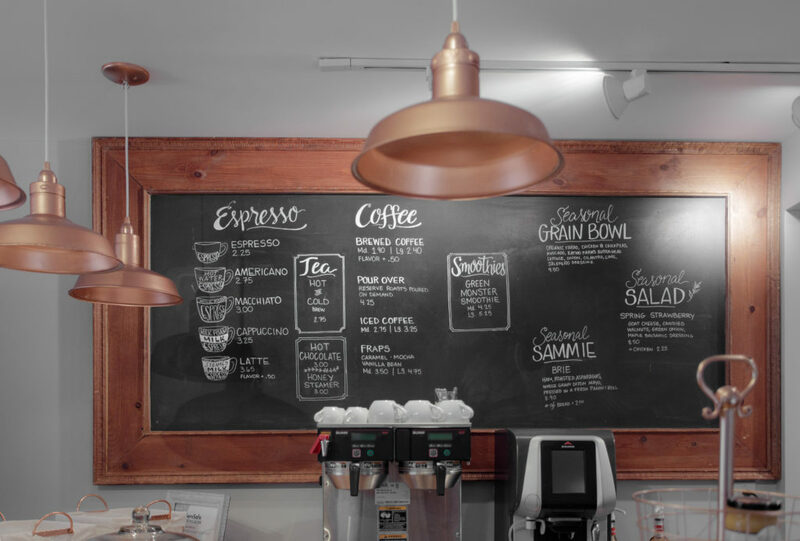 Wild Sage serves breakfast and lunch selections along with a full coffee bar. All images by Life Story Photography.